Opinion: Should Logitech really be celebrating selling so many? 2. More people buy an after-market mouse to replace the cheap and nasty or stylish but unusable mouse that shipped with their computer. I'm not convinced either explanation is much cause for celebration. Most users typically spend less time in direct contact with their mouse than their keyboard and mice have far fewer moving parts. If they are all so poorly designed or shoddily built that we need to keep replacing them all the time, then something is very wrong. There are only a billion or so PCs in use in the world. 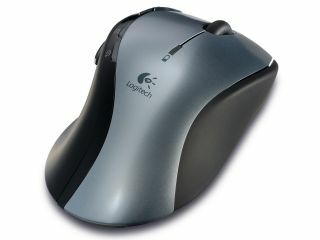 If Logitech had built reliable, cordless, optical four-button mice with scroll wheels from the start then we could all still be using our first mouse and carrying it forward to each new PC. Mouse technology hasn't really come up with much in the last five years. There should be no need to keep replacing the mouse. Apart from to please all those Logitech sales execs hoping to hit the ten billion mark next year, to win that fortnight in Vegas.